And More Profitable Than Ever Before! lists by simply following a set of proven and duplicatable steps! It happens when you’re packing for vacation. It happens when you’re shopping at the grocery store. And if you’re like most business owners, it happens a LOT when you’re building your list and setting up email campaigns. For Creating and Growing Responsive Mailing Lists! You’ll go from being overwhelmed to overjoyed once you see what these 20 checklists can do for you. I've taken an entire multi-volume encyclopedia set of email marketing information and digested it down to the bare minimum of what you need to know to get great results from building and monetizing lists. as sort of "mini-blueprints" for my own business. that I've created and assembled in this amazing package! 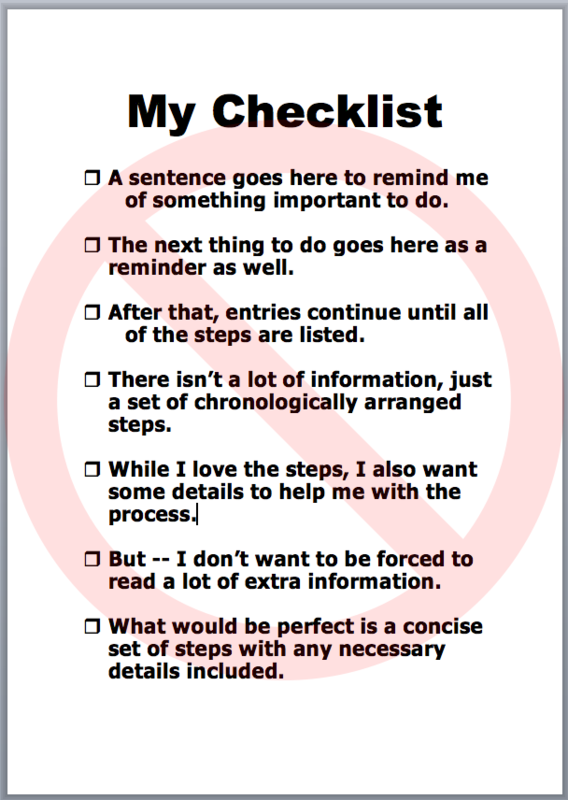 The checklists (AKA "mini-blueprints") are more than just a set of steps arranged chronologically into a bulleted list. There is actually some "meat" to these checklists that I know you are going to love and find helpful. And that's just ONE of the TWENTY checklists that you will download in this package. 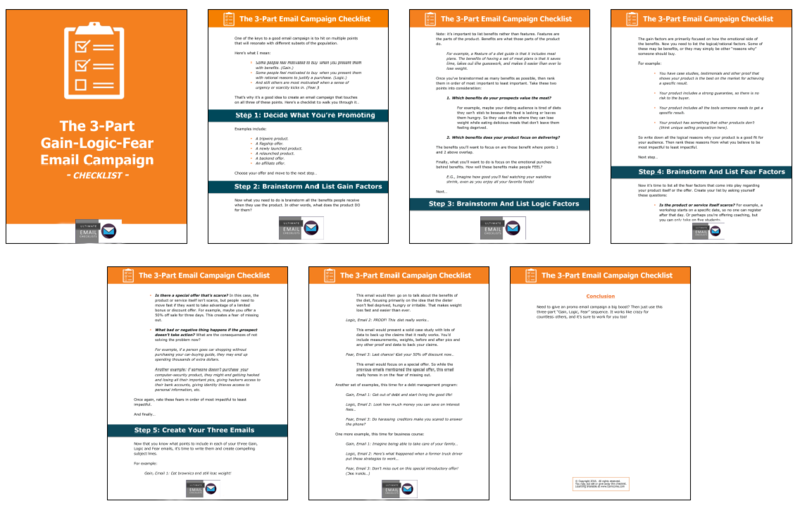 All total, there over 100 pages of "no-fluff" content in Ultimate Email Checklists! Most email marketers only check a few obvious points before they send an email, like proofing the content and checking that the links work. This list gives you 20 points to check to ensure you’re sending the most well-written, goal-oriented and high-response emails as possible! Your call to action can make or break the success of an entire email campaign. Use this checklist to craft the perfect calls to action that boost your responses and generate more sales, traffic and cash for you! If your subject line stinks, your subscribers will send your emails straight to the trash. Ouch! Don’t let that happen to you. Instead, use this checklist to create amazing subject lines that get attention, arouse curiosity, get the click and boost conversions across the board! No list-building effort is complete without this checklist. That’s because you’ll get seven solid ways to monetize your list, plus 15 amazing ways to maximize responses every time you send an email! If you want to make more money with your list, then check out this checklist right away! One really good way to light a fire under your subscribers and boost your conversions is by offering a special promo. This checklist walks you through the steps of setting it up, plus you’ll get ten idea for high-response promos you can start using ASAP! What’s the secret of making a crazy number of sales every time you email your list? It’s this: you need to presell the offer and whip subscribers into a buying frenzy before they even see the sales page. This checklist shows you exactly how to do it! Did you know that most people need multiple exposures to you and your products before they’re willing to take the plunge and make a purchase? That’s why a follow-up sequence of emails works like crazy to generate sales for you. And this checklist shows you how to create high-response follow ups! Your lead magnet needs to not only attract high-quality leads to your list, it also needs to generate backend sales for you. But how do you create this sort of high-performance product? This checklist shows you exactly how to do it! Creating an effective lead-capture system means snapping into a place a lot of pieces and parts across your blog, website, social media accounts and other properties. Use this checklist to improve your opt-in rates, get wide exposure, and cover all your bases! Sending out multiple emails almost always boosts your response. And here you’ll get a set of checklists to help you create and deliver five of the most highly effective emails. Whether you want more traffic, more social media contacts, more sales or anything else, you’ll find an email here to meet your needs! How would you like a quick way to boost responses every time you send an email? Well there is one, and that’s to segment your list into micro-targeted pieces. This checklist shows you exactly how to do it so that you too can start getting great results! Everyone tells you to build a list because it’s so profitable. Question is, how do you get started when you have absolutely no idea where to start? Good news – that’s exactly what this checklist will show you how to do. You’ll get a step-by-step process for building a list from scratch to get to your first 1000 subscribers! Need to bring a dead list back to life? This is the checklist for you! You’ll get a step-by-step process for contacting the list, warming them up, and getting them to start taking action again when you send them promos! Do you have a presence on social media? If not, you should. That’s because your prospects are already there. And so are your competitors. What’s more, social media is also a great place to build your list. And that’s why you’ll want to use this checklist to grow your lists by tapping into the power of social media! One big key to a profitable list is to increase your open rates for each and every email you send. But how do you create eye-popping open rates? By using this checklist the next time you mail your list! One of the keys to a good email campaign is to hit on multiple points that will resonate with different subsets of the population. And that’s exactly what this checklist shows you how to do through the power of the super-effective “Gain-Logic-Fear” email campaign! Your autoresponder is one of the most useful tools you possess in your marketing arsenal. That’s because it’s a hands-off, automatic way to build relationships and generate sales. But that only works if you’re setting your autoresponder up the right way! And this checklist makes sure you cover your bases and set up your autoresponder in the most effective, results-driven way possible! It’s pretty obvious that email delivery is a big factor when it comes to the success of your email campaigns. And yet a lot of marketers don’t give it much thought. That’s why you’ll want to use this checklist to maximize your delivery rates and start getting better results with every email you send! Still another key to a profitable and successful mailing list is to have a publishing plan. Forget about last-minute planning, where you come up with an idea on the day you mail your list. Instead, swipe a page from the top email marketer’s playbook and create a promotional calendar. This checklist makes quick and easy work of it! One huge key to a responsive list is to get your subscribers to know, like and trust you. Because the second they do, the second you’ll start seeing higher open rates, clicks and sales! And that’s why this checklist shows you exactly how to start building that all-important relationship with your subscribers! When You Use These Checklists! Avoid all the pitfalls and mistakes that plague most list builders! Grow your lists, increase responses, and maximize profits! Make list building faster and easier than ever before! Good news – this is the most affordable set of tools you’ve ever seen. Because when you order now, you get these checklists for just $2.35 each – that’s ONLY $47 for the entire collection. Plus once these strategies produce just ONE or two extra sales for you, you’ll have recouped your entire investment. You can do that incredibly fast, which makes this offer a great deal! 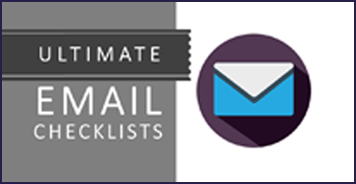 You have a full 30 days to put Ultimate Email Checklists to the test. If by the end of the training, you don’t feel like the checklists have improved your email marketing and saved you time…you can feel free to ask for a full refund. It’s as simple as that…Improve your email marketing TODAY!! P.S. Have you ever wondered what the six-figure list builders do that you don’t do? You’ll find out inside these checklists! Now you too can put the most profitable list-building strategies to work for you starting today! Icon designed by Freepic from Flaticon.